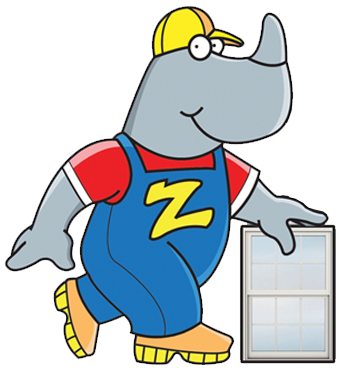 Zimmerman Roofing is a professional roofing contractor serving Lancaster County, Pennsylvania, and the surrounding areas (including Berks County, PA, Lebanon County, PA, York County, PA, and Chester County, PA) and has been the choice for hundreds of Pennsylvania home and business owners over the years. Our professional roofing experts specialize in commercial and residential roofing installations, as well as maintenance and repair of existing roof systems. We have installed and repaired hundreds of roofs everywhere from single-family homes to commercial buildings. Check out our service areas. Just click here. We have the utmost confidence in our roofing experts. Zimmerman’s Roofing strives to serve our customers with excellence, quality products, and world-class customer care, while serving God to His glory. Our desire is to give our customers the best experience possible, so that they become our strongest referral sources. You can minimize your risk when hiring a contractor by going with one who displays the Technician Seal of Safety. You owe it to yourself and your family to make sure that you are inviting individuals into your home who have been screened by a criminal background check and who are routinely tested for illegal drug use. 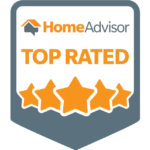 That’s why we display this symbol, to let you, the homeowner, know at a glance that we stand out from the crowd when it comes to protecting the safety of you and your family. Now, most roofing companies do not bother to practice such stringent policies as background checks, routine drug testing, and professional training. But that’s what distinguishes us from the all the rest. When you see the Technician Seal of Safety you know you’re dealing with a professional who cares about your personal safety, the safety of your family, and the well-being and security of your home. 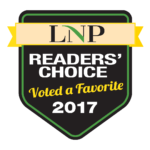 What Makes a Recommended Roofer or Roofing Professional Different? Recommended Roofer or Roofing Professionals offer an iron-clad 100% money back satisfaction guarantee on both workmanship and materials. 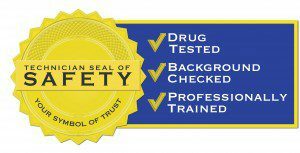 Only roofers bearing the Recommended Roofer symbol have the opportunity to offer you the Technician Seal of Safety which assures you that Recommended Roofer Roofing Professionals conduct background checks and perform regular drug testing on their employees as allowed by law. That translates into peace of mind for you and your family. Check out our service areas! Just click here.